OK...so I feel like I've done some serious posts over the last few Wednesdays, and that's alright...but part of "breathing" is also laughing. In fact there is a great quote that says "Laugh as much as you breathe..." I LOVE that!! So I just thought I'd share a little something that makes me laugh. In fact, every Monday night I let my kids know that they have to be in bed and settled by 9:15 because "my show" comes on at 9:30. I curl up in my big red chair with my husband and a fuzzy blanket...and laugh for the next half hour. 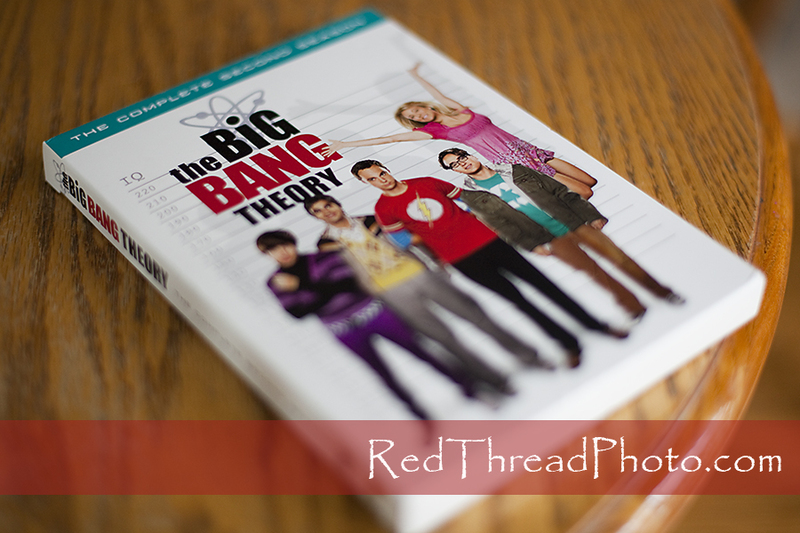 The Big Bang Theory is just plain FUNNY!! I *LOVE* words and the writers of this show are masters of words! The characters are big geeks (except the girl) and that leads to all sorts of funny social situations!! Whether you ever watch The Big Bang Theory or not, I hope you have places and times that you can laugh. And not just laugh, but REALLY belly laugh. And when you find whatever it is that brings that much delight to you....make it a habit! It is one way of trying to laugh as much as we breathe. Sneak Peak: Lots of Love! !